Talisker… it’s always something to look out for, I must say. 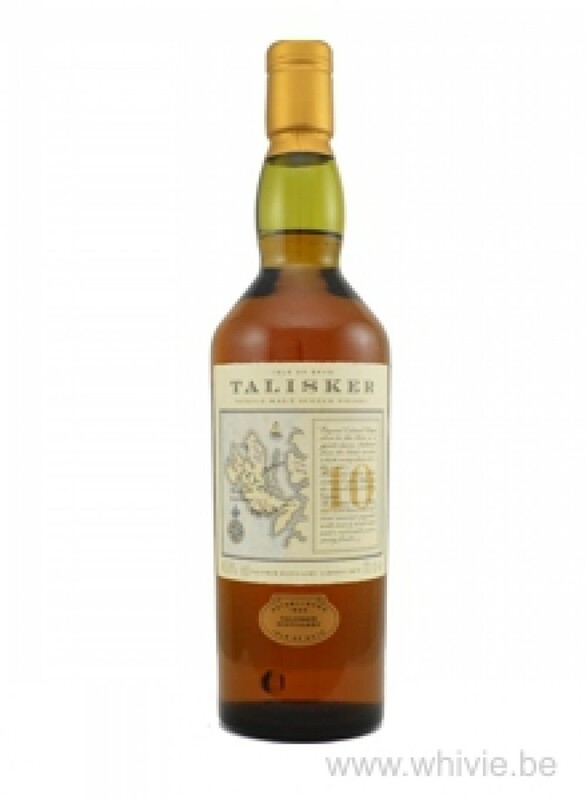 This is the classic Talisker 10, but it has been sitting in the bottle for over two decades. It’s the old, so-called ‘map label’ release from the end of the former millennium. I wonder if it was as good as the current version is. Suprisingly sweet and rather soft nose, which offers mostly vanilla, lime and rocks on the beach. The typical smoke and pepper and conspicuously absent, but that doesn’t mean it doesn’t smell good. A bit creamy. Apples and oranges and – if you wait for it – some maritime traits. It does take about five full minutes before I can exclaim: ‘Yup, it’s Talisker!’. On the palate, however, it’s bull’s eye from the get-go! Very creamy, peppery and wonderful smoky notes that quickly start to dominate. Very, very tasty! Apples and some citrus, a bit of smoked bacon, sea salt and grassy notes. Spicy oak gives it a nice bitter edge. Some chocolate appears. Mint arrives. Make that After Eight. I don’t think I’ve ever had that in Talisker, but I love it. This is a stunner! Ah… that finish, wonderful! Long, smoky, peppery yet sweet, creamy with a sour edge as if from grapefruit at the death. 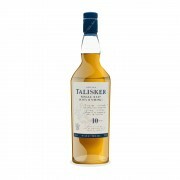 It’s already a tad old school and that makes it grand and interesting, certainly when compared to the current Talisker 10, which should be in anyone’s cabinet at all times. Thanks Mark. It's a pretty consistent performer all right. I agree, it's never out of place in a well stocked whisky cabinet. I might give it a couple more points than you, but we all know you are a bit stingy with the marks, Mark. While I would be happy to taste from a bottle of the standard 10, and especially from this piece of history, I can't put it in my cabinet with so many bottles there already...and with a 57 N taking up an honoured place. @Nozinan The 57° North is a stunner indeed (and discontinued!). If I ever come accross that one again, I'm putting it back in my cabinet. @markjedi1 - 57 discontinued . . . say it isn't so!? Makes me wonder if they might bring the 8 year out as a permanent replacement then? It’s still available on Amazon uk and airport special (just waking through one today) for £79 for a litre bottle. Maybe one should pick one up FOMO! 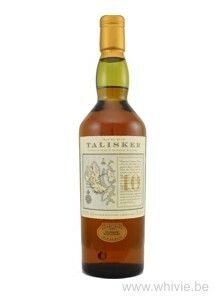 I just checked the price of Talisker 10 in BC: $116 tax in. Ridiculous. I've bought it in Scotland in M&S, Tesco, Morrison's, Sainsbury's, even small Co-ops for 30 pounds on sale, 40 pounds regular price. @BlueNote yeah I got it in China for USD29 and the 57N for USD50. Here in the states the 10 is $75! Ridiculous.